Kansas RV camping opportunities are located throughout the state. The Sunflower State offers campers and RVers free and inexpensive campgrounds in or near most communities. The US Forest Service (USFS), US Army Corps of Engineers (USACE/COE), and state and community parks offer facilities that vary from dry camping to full RV hookup campsites. 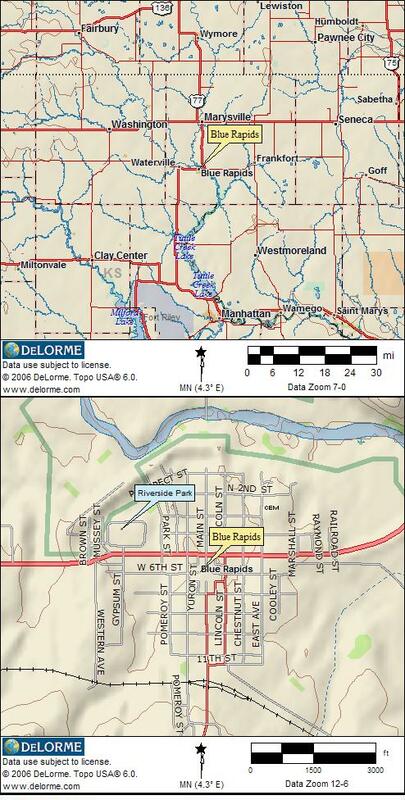 Kansas RV Parks – Research tools for finding the best RV parks and campgrounds in Kansas. US Forest Service – USFS Kansas RV camping and recreation information for the Cimarron National Grassland in southwest Kansas. Boondocking only. US Army Corps of Engineers – USACE/COE information about Corps lakes and camping opportunities in Kansas. Over 20 lakes have RV camping facilities. Kansas State Parks – Information about RV camping and other outdoor recreation opportunities. Kansas Department of Wildlife – Information about Kansas Wildlife Management Areas (WMA's) camping opportunities. Their website has the rules and locations. Official Kansas Tourism Website – Where to go and what to do. Includes Kansas RV camping suggestions and travel planning ideas. Camping Reservations – Make your Kansas campground reservations and your campsite will be waiting for you when you arrive. Sanidumps.com – RV dump locations listed alphabetically by town name. RVdumps.com – Places to dump your RV in Kansas. The following is only a small sample of available free Kansas RV camping opportunities available. RV camping is available at the Walnut River Park. Water, and picnic tables are just a couple of the ammenities offered. The town operated Rocky Pond Park has electric campsites available for a donation. Fishing, canoes, and playground. The Chamber of Commerce has a section of Riverside Park they maintain for overnight RV parking. Electric, water, and RV dump station. The city maintains the Santa Fe Park and Safari Campground with free RV camping. Restrictions apply such as length of stay, and fees for lengthy stays. Airport Park is located on highway 81 at the south edge of town. Electric & water are available for a donation with a dump station. It is located across the street from a WalMart Supercenter. Thanks Palmers for the tip! Free dispersed camping (boondocking) is permitted on the Cimarron National Grasslands. Solitude and wide open country are available for free RV camping adventures. Limited RV parking is available at Gunn Park. Fishing, playground, canoes, paddle boats are some of the outdoor activites available. This friendly town offers free will donation camping at the City Park Campground. Electric, water, and RV dump station available. Public Kansas RV camping areas are managed by the Kansas Department of Wildlife & Parks, US Forest Service, and USACE (US Army Corps of Engineers). Public RV camping is also available at city and county parks as well. The following list is only a sample of the great Kansas RV camping sites in available. Located on the Spring River, the Baxter Springs City Campground offers overnight RV parking. Playground, basketball courts, and a stage for summer concerts. Over 400 primitive campsites, and another 233 electric sites are available at Cheney State Park. Boating, hiking, and fishing are just of the activities available. RV camping with hookups, or primitive campsites at Cedar Bluff State Park. On the banks of Cedar Bluff Reservoir: fishing, boating, and hiking. Comfort Cove – 52 reservable full hookup RV campsites. Day Use – Boat ramp, vault toilet, disc golf, RV camping. Timber Road – Reservable campsites, nature trail, and group shelter available. Electric and non electric campsites are available at USACE Marion Reservoir. There are 4 camping areas around the lake. Electric and primitive campsites are available at Prairie Dog State Park. Excellent fishing and hunting, as well as hiking trails. New Kansas RV camping camping facilities are available at Waterville City Campground. Recommended donation of $10 per night.